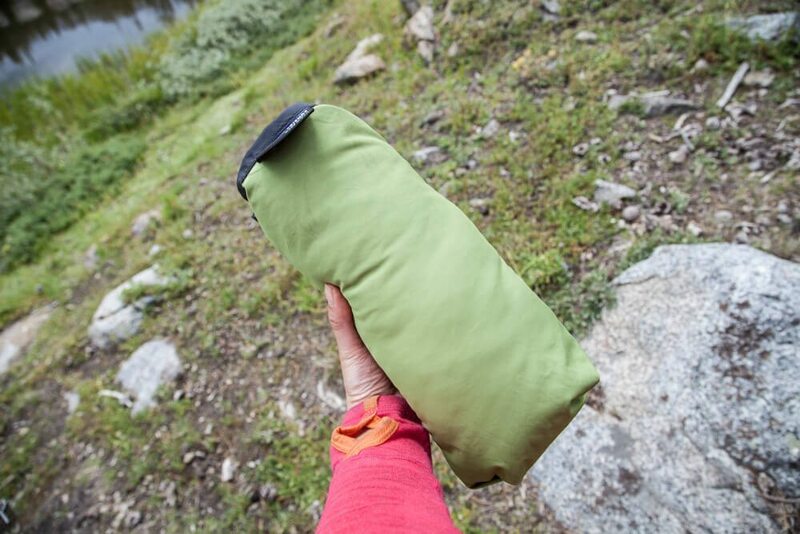 Pillows… are they something you really need in the backcountry? I’ve found myself debating this question of the last few years. Yeah, I could stuff some clothes into a stuff sack and call it a night. But after a few lumpy, sleepless nights, I decided that a few extra ounces of weight wouldn’t hurt for ultimate comfort while backpacking. The Feathered Friends Geoduck pillow did the trick. At 6 oz, the Geoduck pillow is a luxury if you’re truly counting ounces. I mean, you don’t need it. It’s made in the USA with 700+ fill down. The pillow stuffs into itself so you don’t have to carry a fluffy thing around or an extra sack to stick it in. 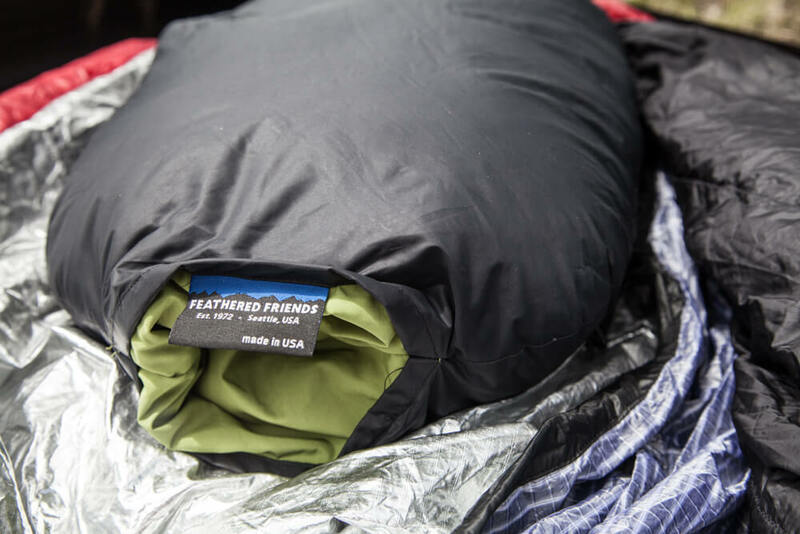 The nylon outer material sheds dirt and debris super easily in case you drop it in the dirt while trying to speedily pack camp up. I love the Feathered Friends Geoduck Pillow. It doesn’t stay super fluffy all the time, so if you love big pillows, this might not be for you. I tend to not use the stuff sack since it makes the pillow all funny shaped. Instead, I roll it up and tuck it into a little crevice inside my pack. Seems to work equally well. Super awesome for backpacking and traveling! Buy the Feathered Friends Geoduck through Feathered Friends for $45.